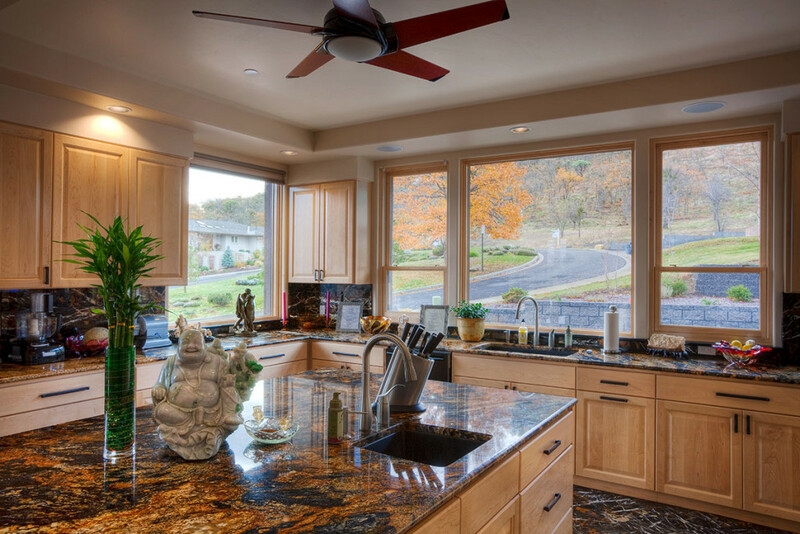 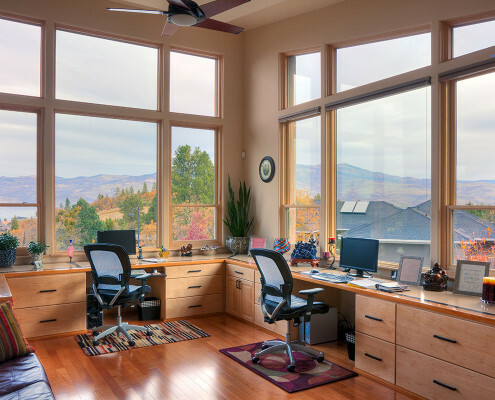 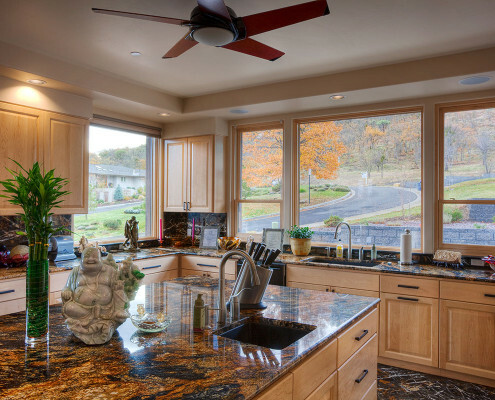 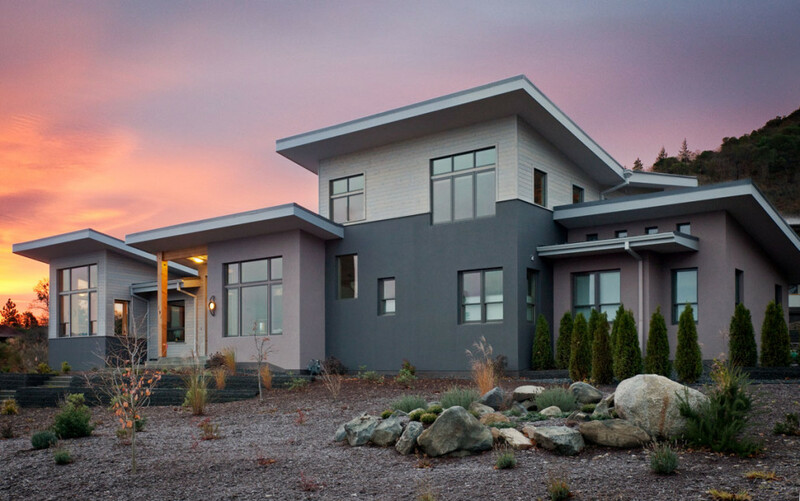 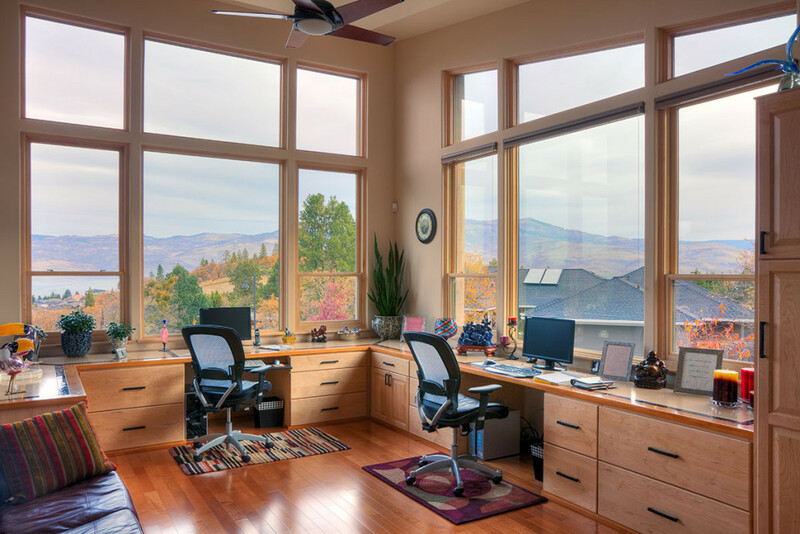 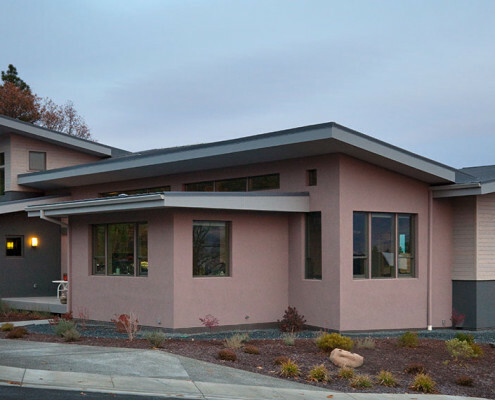 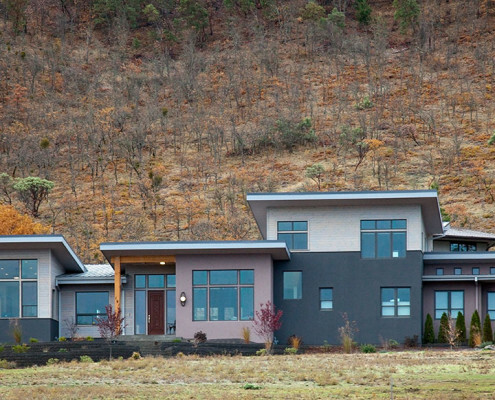 Awarded the first LEED for Homes Platinum Certification in Southern Oregon, the design of this home was challenged by strict lot coverage restrictions. 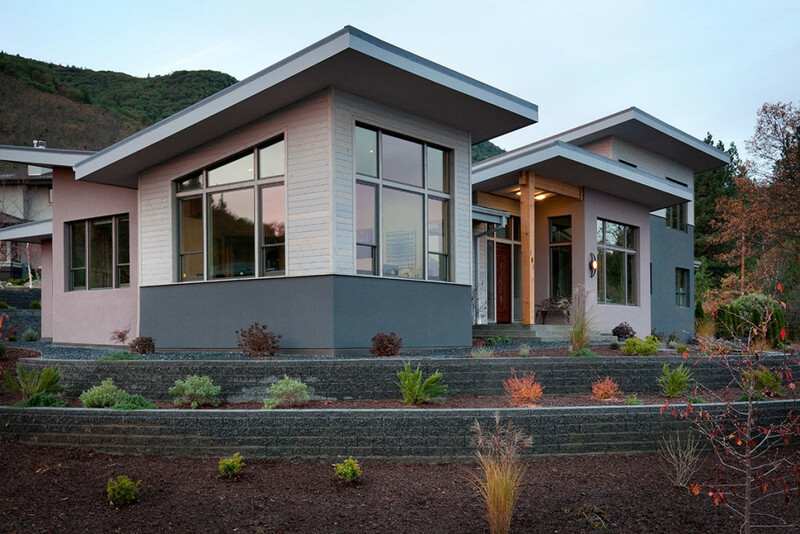 We took advantage of over-excavation required for stabilized footing placement and mitigated hydrology through the site by incorporating heating and cooling strategies utilizing the basement and conditioned crawl space. 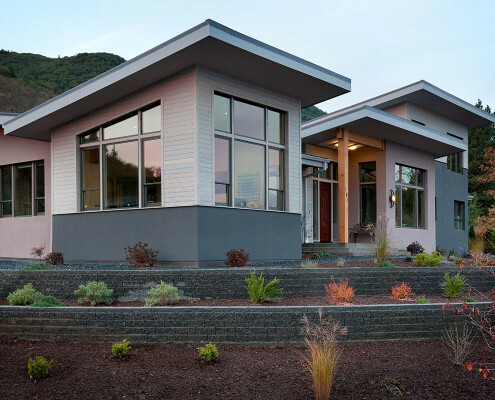 The target of constructing an energy efficient home was the foremost achievement on the project. 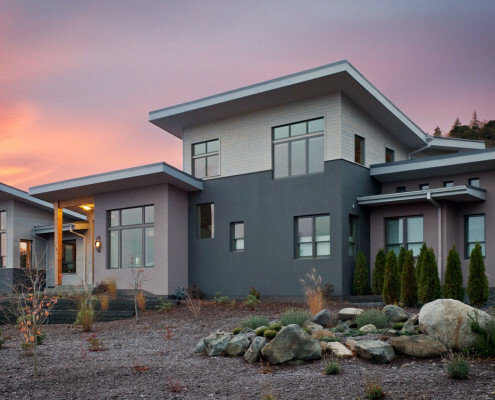 Features include a conditioned crawlspace with HRV integration, night flush ventilation throughout the basement and crawl space with HRV strategies for passive cooling, geothermal ground source heat pump with vertical wells, solar hot water with on demand recirculation system, ICF walls, SIPS roof, 2 kW active solar PV, as well as passive solar design.